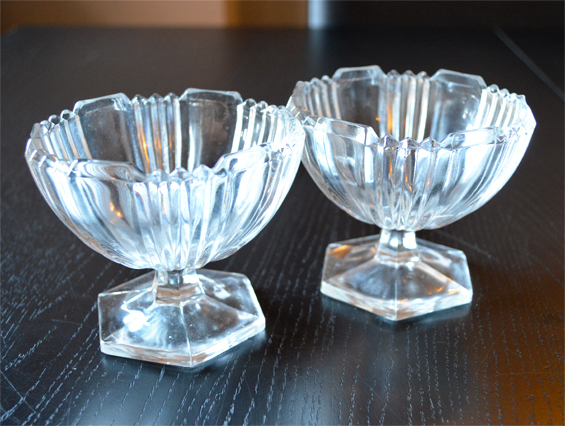 Vintage Finds - Beauty Parlour Bargains - Sugar, Darling? I spent this morning wandering around town dropping off flyers for my beauty parlour at shops around town and on the way swung into a few charity shops on the hunt for pretty things to dress up my table at fairs. I got a good haul for under ten pounds and it's made me even more excited for my first fair next Sunday in Birstall! The pretty pink jug and bowl above was one of my favourite finds and was just £2.50. 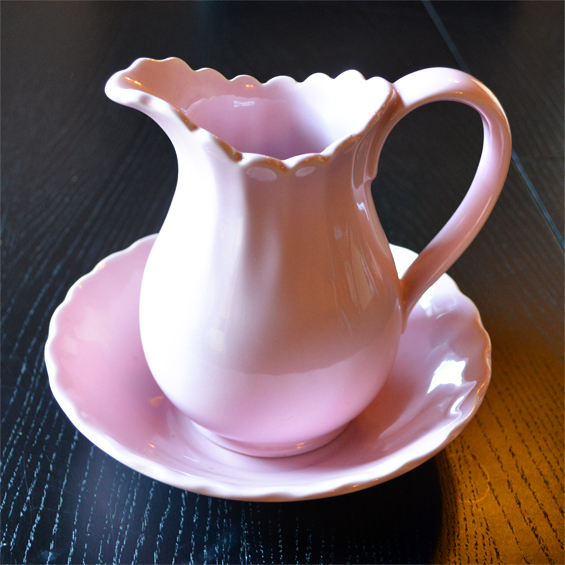 It's not as large as usual dressing table jugs but just perfect for holding a little bouquet! 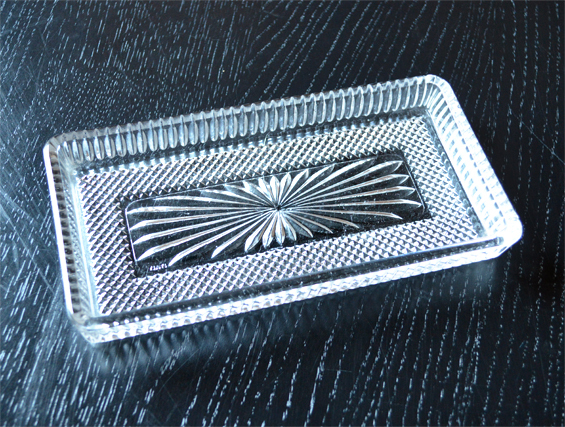 And this little tray for holding butterfly clips. I actually bought two of these, the other will have my hair spray and heat protect products on. 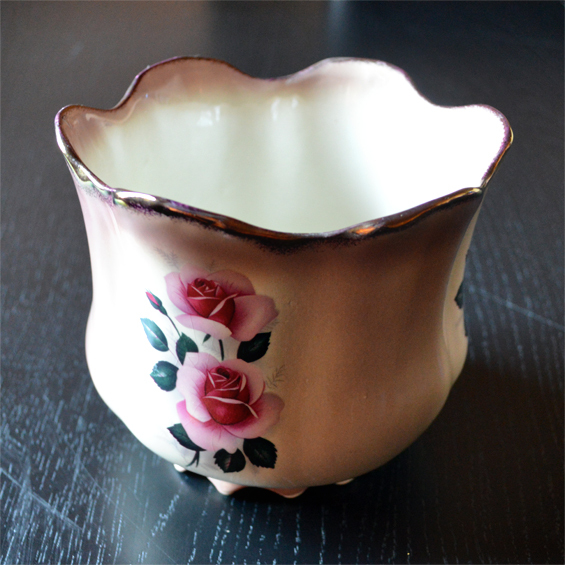 This cute little pot will hold my brushes and combs - the pink roses tie in perfectly with the ones on my banner! 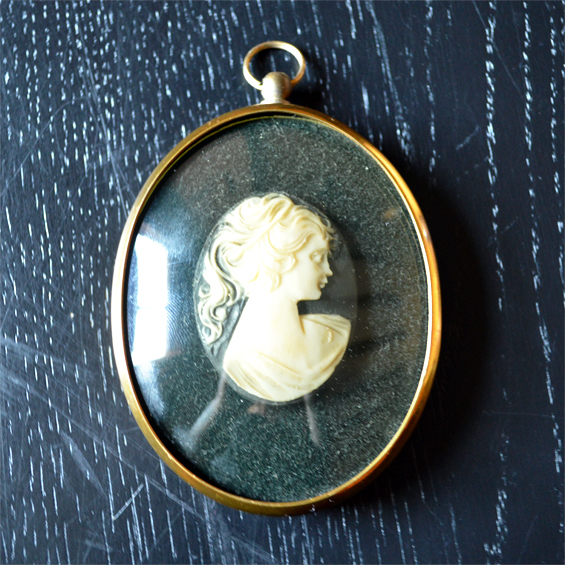 I didn't actually buy this little framed cameo, my gorgeous friend Gemma picked it up for me at a car boot! What a doll she is! 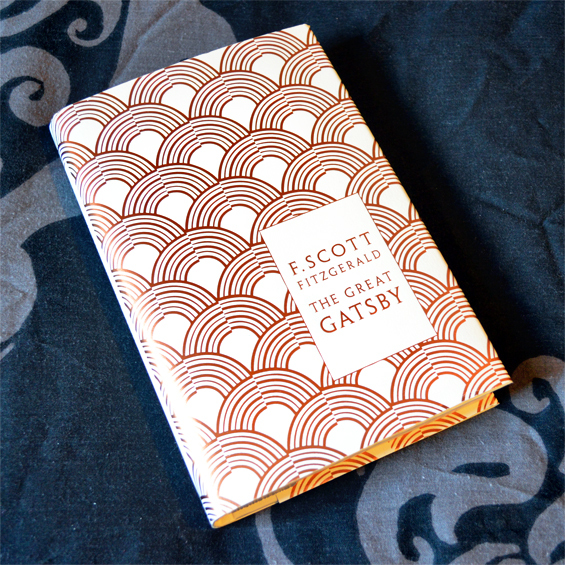 And this was a treat to myself - the Penguin Classics edition of The Great Gatsby. 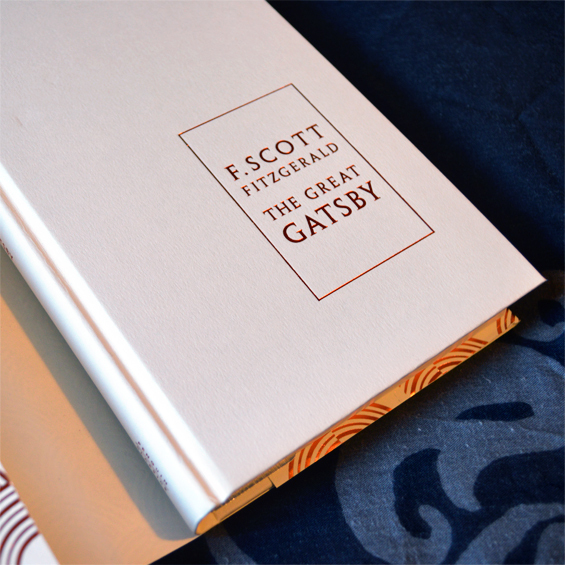 I haven't read it since I was about ten years old and was adamant that I would read it again before Pete and I go to see it at the cinema. I'd adore a little powder room wallpapered in that lovely metallic bronze and cream pattern! Have you found any wonderful bargains recently?